These were taken on our trip to a local Aquarium several months ago before Daddy left. 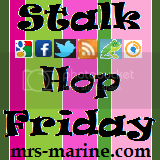 For more Wednesday Link-ups check out my NEW Blog Hop Directory! I love aquariums! Looks like fun. Looks like fun! I really need to take my little guy to the local aquarium. cute! Hope they had fun with daddy at the aquarium! How fun! My boys will certainly love this! Awww, love how they are peeking at the fish, beautiful pics of the fish too! I am hosting my first WW link up this week - please stop by when you have a moment and join the fun! Looks like a great aquarium. I am back to join your blog hop and thank you for hosting this too. I'm excited to see the next of your aquarium series..i hope your kids had fun and learned at the same time. I'll keep coming back. I love aquariums, Thanks for sharing your pictures! Love your blog! and LOVE, LOVE your tip on the follower box on blogger! so fun - we are visiting the georgia aquarium during our road trip next week - so excited!